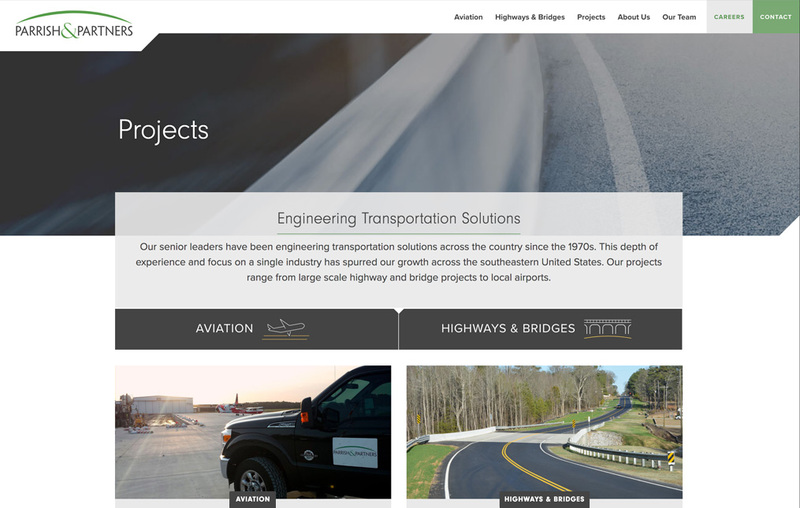 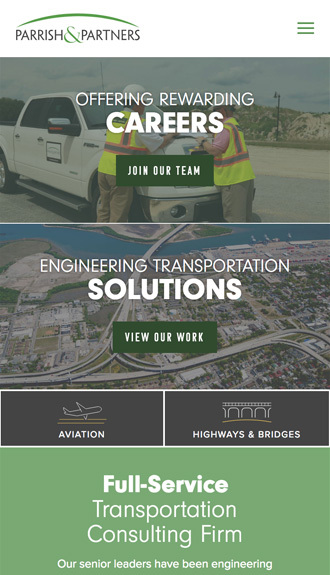 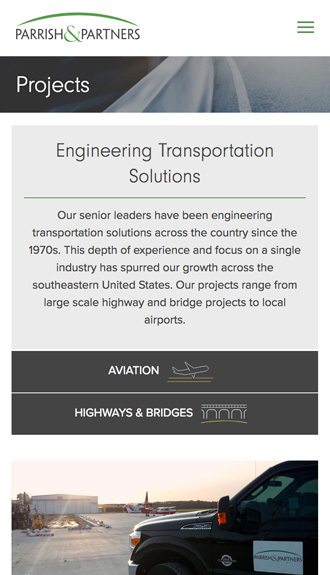 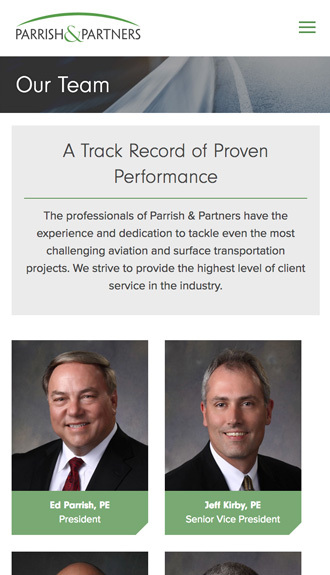 Parrish & Partners is a regional engineering leader in aviation and transportation. 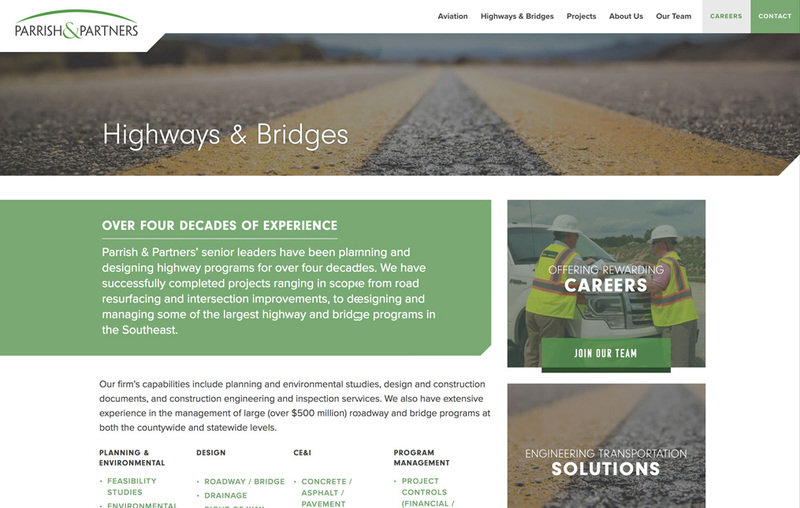 The firm sought a new digital presence that would showcase the quality of its work, support the bidding process, and help recruit new employees. 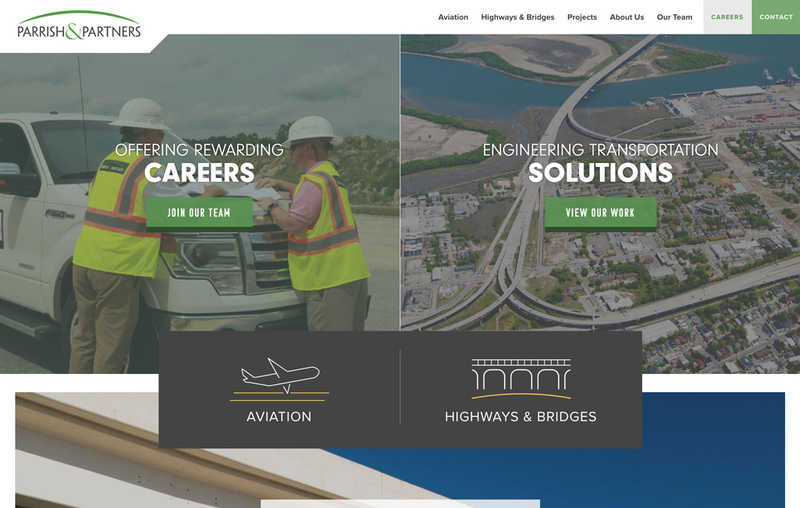 We utilized modern design motifs to emphasize the firm’s forward-thinking culture, visually highlighted projects throughout the site, and featured employee testimonials to humanize the firm.